Classically elegant with contemporary cylindrical design, the Gage wall sconce by Tech Lighting creates a wide dispersion of soft LED up and down light to create both accent and ambient outdoor lighting. For maximum flexibility, installation options enable the fixture to be mounted in three different height positions (Gage 15, and 20 only) relative to the back plate to meet a variety of application needs and aesthetic preferences. 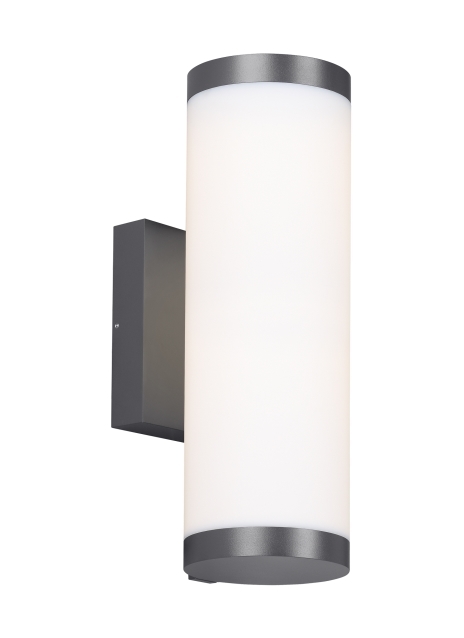 Ideal for residential, hospitality, or other commercial applications, the contemporary Gage sconce design is available in three sizes (8, 15, or 20-inches tall). This unique outdoor light fixture features a durable, marine grade powder coat finish available in either Charcoal or Bronze. Gage wall scones feature stainless steel hardware and impact-resistant, UV stabilized frosted acrylic lensing for added durability and stability.